Air India will operate a non-stop flight from Delhi to Washington from July 7th, 2017, to connect the capitals of India and the USA. This will be the only direct flight connecting Delhi with Washington with a B777-200LR aircraft. Washington will be Air India’s fifth non-stop destination in USA after New York (JFK), Newark (EWR), Chicago (ORD) and San Francisco (SFO). AI 103 will depart from Delhi at 0115 hrs (IST) to reach Washington at 0715 hrs (GMT). While AI 104 will depart from Washington at 1100 hrs (GMT) and will land at IGI airport, Delhi at 1030 +1 hrs (IST). 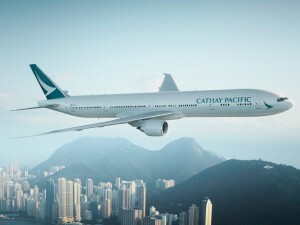 Operating thrice a week on Wednesday, Friday and Sunday, the flight will offer a 3-cabin configuration, with 8 seats in First Class, 35 seats in Business Class and 195 seats in Economy Class. The direct flight will take around 15 hours and 30mins to reach Washington from Delhi. Passengers looking to travel and experience the world class facilities with a non-stop Boeing 777 flight can start booking their tickets now through www.airindia.in or through Air India booking offices. South Australia witnessed a positive leap in expenditure by Indians with an 87 per cent increase for the year ending December 2016, reaching AUD 28 million. According to the latest International Visitor Survey results released by Tourism Research Australia, Indians spent an additional AUD 13 million in the state compared to the previous year. Maintaining a healthy growth, the total expenditure has been on an upward trend with an average increase of 15.8 per cent over the last three years. 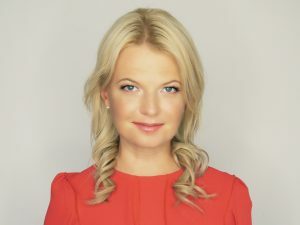 Speaking about the results, Dana Urmonas, Regional Director (India & Southeast Asia), South Australian Tourism Commission, says, “Over the last year we have seen many more Indians signing up for experiences and breaking away from touristy activities. South Australia offers a cool blend of abundant wildlife, picturesque beaches and landscapes and brilliant food and wine, so travellers can really enjoy the best of Australia in one state. 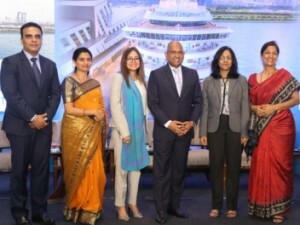 India is among our top 10 source markets and we hope to continue attracting more visitors and sustain the momentum built.” A recent Consumer Demand Report released by Tourism Australia shows that Indians travelling to Australia are looking to enjoy world class beauty and nature, family friendly activities and beaches and marine wildlife. South Australia, which ranks high on these factors, has been steadily moving up the consideration set with Kangaroo Island ranking number 3 among the most considered Australian destinations, after Sydney and Melbourne. Activities such as the RoofClimb over the iconic Adelaide Oval, swimming with dolphins at Glenelg, walking among sea lions at Seal Bay, food and wine experiences at Jacobs Creek or Seppeltsfield and premium stay at the 7-star rated Southern Ocean Lodge are unique to the state. 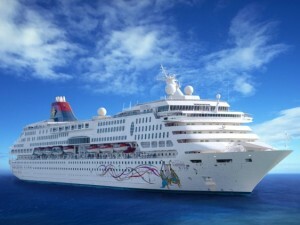 Star Cruises has announced the new homeport deployment of SuperStar Gemini to Laem Chabang in Thailand. It will be based in Laem Chabang International Terminal beginning 17 December, 2017 through to 27 April, 2018. Ang Moo Lim, President, Star Cruises, said, “We are excited to announce Star Cruises’ return to The Land of Smiles with the deployment of SuperStar Gemini at Laem Chabang. Our long history with Thailand stretches all the way back to 1995 when we first called upon Phuket and,today, we are proud to be able to call Laem Chabangour new home come 17 December this year. Thailand has the largest number of tourists of all ASEAN countries and the two airports of Bangkok serve more than 85 million passengers every year,” added Ang.“This is a perfect location for fly-cruise passengers and we will work closely with inbound agents to package cruises with land vacations – providing tourists yet another reason to visit Thailand. We will make Bangkok the “Gateway to IndoChina” due to its superior air and tourist infrastructure.” During her deployment, SuperStar Gemini will embark on three-night cruises to Sihanoukville and Ko Samui, departing every Sunday, two-night cruises to Sihanoukville, departing every Wednesday, and two -night cruises to Koh Kong Island, departing every Friday. British Airways has introduced its most technologically advanced aircraft, the Boeing 787-9 Dreamliner on the Mumbai-London route. Mumbai is the second route after Delhi to benefit from the airline’s latest aircraft. Commenting on this Robert Williams, Head of Sales- Asia Pacific and Middle East, British Airways, said, “Boeing 787-9 Dreamliner is the latest aircraft in our fleet which is slightly different to 787-8 aircraft. The 787-9 is 20 feet longer and incorporates our first class cabin with just 8 seats. Together with our World Traveller economy class, World Traveller Plus premium economy, Club World business class and the exciting new First class product we have all four cabins on the new aircraft flying people overnight from Mumbai into London. 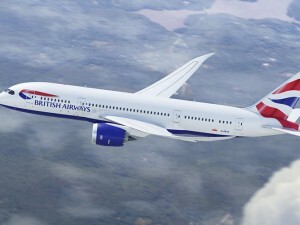 The 787 is fast becoming the principle aircraft of the British Airways fleet for the next generation.” A total of 42 787s are destined to join British Airways, becoming the mainstay of the airline’s fleet. Currently, British Airways has 12 A380 aircraft which have joined the fleet recently. Starting from 2018 British Airways will be making changes to its short haul flights in UK or flights flying into Europe from London. The airline also looks forward to welcome the A320, A321 and A350 aircraft soon. 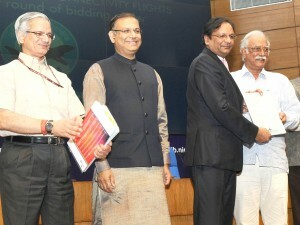 SpiceJet, Alliance Air, and three other airlines have emerged winner in the first round of bidding and 43 airports in India are set to get flights under the Regional Connectivity Scheme, revealed Ashok Gajapathi Raju, Civil Aviation Minister, Govt. of India. Apart from SpiceJet and Alliance Air, the other three airlines awaiting license include Air Deccan, Air Odisha and Turbo Megha. Airports Authority of India (AAI), the implementing agency, will issue Letter of Awards for 27 proposals received under RCS-UDAN. A total of 13 unserved airports will get flights under the scheme, and the total viability gap funding that the government will provide will be around Rs. 200 crore. Raju also said that the total seats on these routes will be around 13 lakh and the scheme will be active in the next 4-6 months.